Our Professionals Can Take Care Of Your Leaking Pipe. 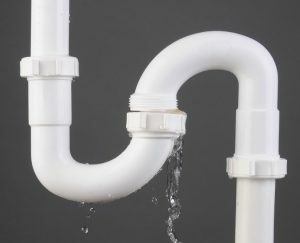 Have you discovered a leak in one of your pipes? Pipe leak repair is something that we do here at All About Plumbing & Septic, all of the time. Our professional plumbers have many years of experience in this field and are able to help with all of your leaking needs. We would first locate the leak and determine how bad it is and what we need to do. We will always try to give you options so that you can be in control of everything that is going on. Once we give you a quote, we can start right away and get the problem taken care of. Pipe leak repair is something that we have worked hard to perfect. We don’t ever want to have to replace a lot of pipe if we don’t have to. That is because it can be very expensive for you, time-consuming, and it can make a mess as well. A leak repair in your pipe can be fixed without having to pull the actual pipe out and replacing it. It is very important that if you have a leak in your piping system, that you get it taken care of right away. Leaks can cause unnecessary damage that is expensive to have fixed. It will also raise up your water bill. When there is water that is leaking out, it can cause mold to begin to grow and spread around the area as well. When there is damage done to the pipe, we can do a repair that will seal off the pipe from the inside. The way this is done is that the water is turned off and we insert a material into the inside of the pipe and it will expand and essentially take over the inside for the pipe and covering the area that the leak is coming from. This is like putting a pipe inside of a pipe and requires little to no mess. There are many reasons that a pipe might end up with a leak in it. Leave it to our experts to get the job done for you right away. If you need a pipe leak repair in Mills River, Hendersonville, and Asheville, NC, call us right away at 828-778-2425 and we will take care of you. Clog In The Line – When there is a clog in your pipe, it will build up pressure over time and start to expand. When the pipe material has no more room to go, it can crack the side of the pipe and let water flow right out of it. If you notice a clog in your pipe, call us right away and we can come out and get it removed before it does any kind of damage. Broken Seal – There are seals on all of your appliances that allow water to not seep out and cause any damage. When these get damaged or they break, it can cause leaks to begin occurring. You may notice that a seal is broken or damaged if you see a puddle of water next to the fixture. 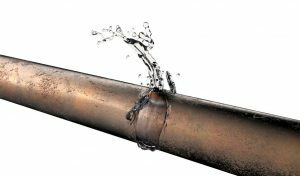 Too Much Water Pressure – If you have too much water pressure that is constantly going through your pipes, they will get worn down faster. Once they are worn down, they can develop cracks in them that will begin to leak and have to be repaired. If you feel like your water pressure is too much, you can have us come out and take a look at what might be causing that. Time and Corrosion – Over time, your pipes get old and can start to be eaten away at. Rust can develop and cause a number of issues, one of them being a leak. This is usually seen with older plumbing systems that haven’t been repaired or replaced in a long time. If your pipes are a lot older and they are starting to cause problems like needing a pipe leak repair, it may be time to consider having them replaced. A Pipe Leak Needs To Be Taken Care Of Right Away. When you have a leak in your home or business, there is no other place to call than All About Plumbing & Septic. Our experienced plumbers have extensive knowledge in leak repairs and will always make sure that the job is completely done before we leave. A leak in your piping system can cause all kinds of problems and it is important that if you think there is one, that we come out and check. Leaks are extremely common so people often think they aren’t a big deal. The problem is that they are a big deal, especially if they are left alone for too long. We will come out and do the repair sometimes the same day. We are also available 24 hours a day so that you are never stranded with a plumbing problem alone. Make sure that when you need a pipe leak repair in Mills River, Hendersonville, and Asheville, NC, that you call the pros at All About Plumbing & Septic at 828-778-2425 and let us take care of it for you. Updated on January 22, 2019 at 10:45 am by All About Plumbing.